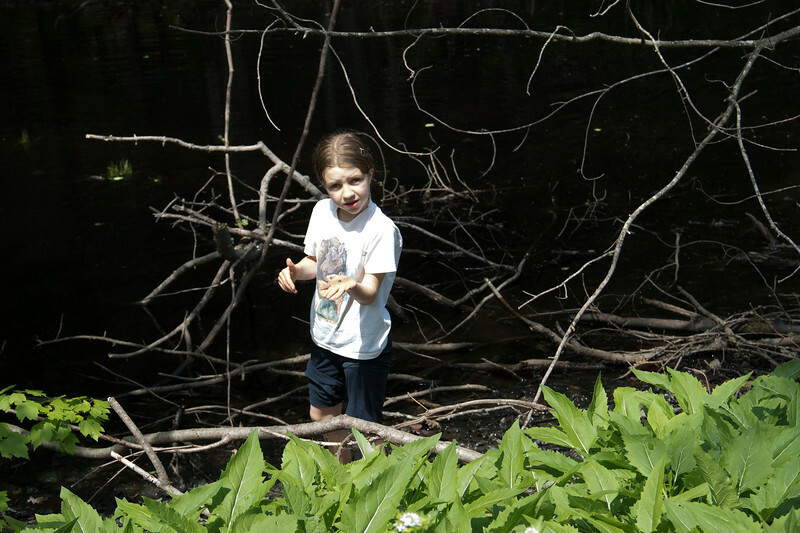 Take springtime rains followed by a stretch of pre-summer warmth, add one vernal pool a mile up alongside a forested ridgeline, a gaggle of curious, courageous children and stand back and watch. The birds retreated on high to watch, the turtles dove for cover upon the chatter’s arrival, and the frogs dove deep to wait. Shoes and socks were quickly abandoned on mossy plateaus and in they stepped with all manner of things that wiggled and slithered about. Handfuls of frog spawn at one end brought school science to life as older cousins of tadpoles in paper cups continued the lesson. These children, the epitome of springtime themselves, and one life-bursting vernal pool became one without fear or time or other lessons calling. In due time the dinner bell rang, the ripples of dark water stilled, a bird chirped, a bull frog sounded the all clear and all was as before they came, except of course for the visitors on human legs.